Honolulu is the cheerful Polynesian capital of Hawaii, charmed with an island-style mix of majestic experiences, pan-Asian cuisine, ethereal landscapes and exhilarating nightlife. Honolulu is the largest city of the U.S state of Hawaii and home to over 337,000 residents. Attractions of this breath-taking destination include Diamond Head, Ala Moana Centre, Honolulu Museum of Art and Chinatown Markets. Cheap flights to Honolulu are now available for a limited period of time, so get ready to voyage to this dream vacation destination! Honolulu is the home of Daniel K. Inouye International Airport (HNL), located only 10 minutes away from the city centre. 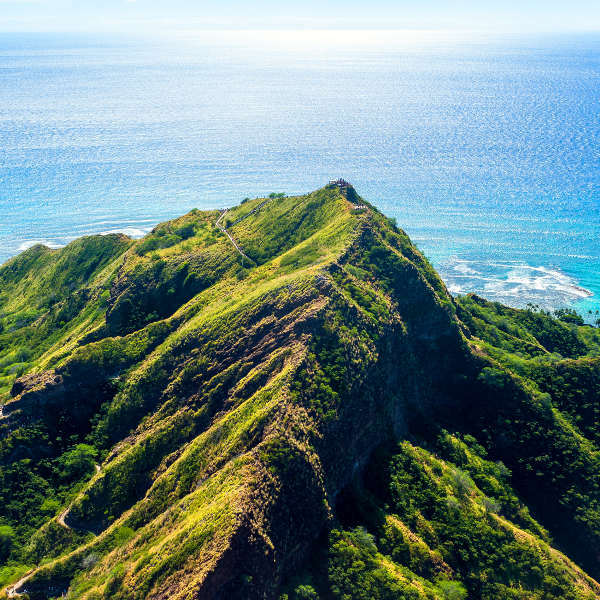 Diamond Head State Monument is nestled on the Hawaiian island of O’ahu. Hikers will be thrilled to trek this 300,000-year-old crater with breath-taking views over the Pacific Ocean. Explore Hawaii’s hypnotic sea life and coral reefs. Exquisite shorelines beckon to be crossed. Visitors of all ages and skill levels can explore the captivating ocean and its treasures! Honolulu is blessed with a warm and temperate climate, ideal for growing and harvesting delicious and salivating tropical fruits. 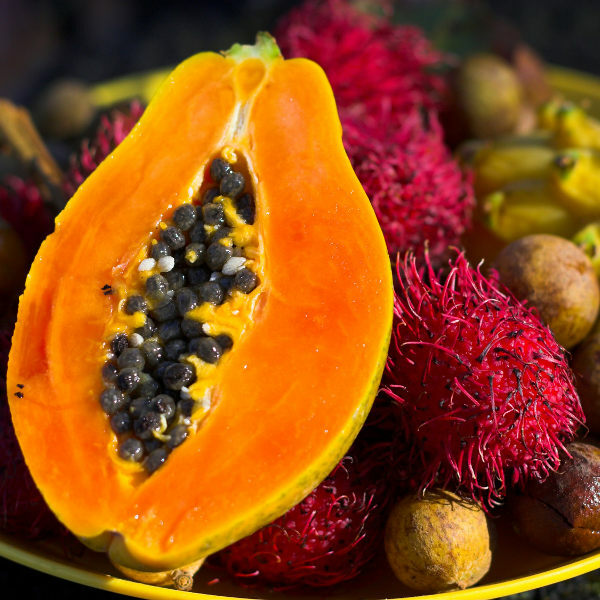 Be sure to try rambutan, egg fruit, cherimoya and dragon fruit. Honolulu experiences a hot semi-arid climate and it never gets cold! Peak season in this tropical paradise occurs from December to March and June to August. Consider these months if you wish to see the whales arrive and embrace the remarkable moment of witnessing them give birth to their calves. For cheap flights to Honolulu, the best time to visit is during spring (April to mid-June) and autumn (September to mid-December). You can expect less crowds and low accommodation prices during this time. The weather is pleasant and the water is ideal for surfing. Honolulu is the blissful place to experience the authentic Hawaiian spirit. This boisterous island is home to the best of Polynesian culture. Remove the image of cliché Hawaiian shirts from your mind and get ready to encounter the real thing – humble and happy spirited people surrounded by tropical magic! A trot through this beaming city will lead you to amazing, traditional neighbourhoods such as Kakaako and Chinatown, where Honolulu’s realism is captured. Visit the enthralling art-filled galleries, fun island-themed bars, and be sure to delight in the local Hawaiian cuisine. A visit to the island would be incomplete without luxuriating on the buttermilk sands of the island’s beachfronts and surfing the gigantic waves. Breathe in the ocean breeze along the harbour front and be sure to add a rejuvenating hike to your island itinerary. You will be rewarded with breath-taking views, while walking amongst lush green terrain, which will create a heightened appreciation for nature in its purest element – Aloha! Compare several airlines, and book your cheap flights to Honolulu online at Travelstart. Travellers are required to be up-to-date with routine vaccines before travelling to the city. These vaccines include measles-mumps-rubella (MMR), diphtheria-tetanus-pertussis, varicella (chickenpox), polio, and yearly flu shot. Some travelers may require vaccination for hepatitis A, hepatitis B and rabies depending on what you will be doing in Honolulu. Tourist areas in Honolulu are safe, however, visitors should always remain alert. • Avoid deserted areas, especially at night. • Do not enter any park at night unless there are crowds of people. • It is best to not carry valuables on you when walking in the streets. • Park in well-travelled and well-lighted areas. • Do not leave valuables visible in the car.